Mecum Auctions There are some individuals who have unquestionably influenced the collector-car industry, shaping it and molding it into what it's become today. We're not talking about the designers and historical figures who gave birth to these great machines, but the buyers and sellers that stand as giants in the modern-day marketplace and the experts of the marques. We're talking about men that have turned the "hobby" into their livelihood; men like Terry Michaelis, president and co-owner of ProTeam Corvette in Napoleon, Ohio. Michaelis is one of the world-leading Corvette authorities, having been a key player in the industry for 40-plus years. He's sold more than 10,000 Corvettes since getting his start in the early ‘70s. Of course the collector-car market is influenced by the conglomerate of buyers and sellers, and the supply and demand of the market as a whole… but when one person is buying and selling hundreds of vehicles annually the way Michaelis has, they become enough of a driving force to make a significant impact and truly set the bar. Today Michaelis is recognized as one of the leading sources of investment-grade Corvettes and an expert in the industry. His vast knowledge of a wide-variety of Corvettes (especially those produced between 1953 and 1972) and various aspects of the Corvette market have positioned him as a trusted consultant in the Corvette community. His expertise has been featured in countless regional and national publications, as well as on TV and in radio interviews nationwide. Michaelis is one of just 50 people ever inducted into the Bloomington Gold Corvette Great Hall comprising those individuals who have been the single most influential people in the history of Corvette along with men like Zora Arkus-Duntov, Bill Mitchell, Vince Piggins and others. His industry awards are likely second-to-none. But what really sets Michaelis apart from most others in the Corvette world is his wealth of knowledge related not to just the history and significance of Corvettes, but also to the commercial side of the collector industry. "I've been involved in the judging side of things, as far as the preparation of my cars for judging, and I understand what goes into that," Michaelis explains. "But I also understand the commercial side of it. The typical expert may understand what's right or wrong about a car, but it's not likely they fully grasp the commercial side as far as what's really meaningful about a given Corvette to the buyer when it comes time to sell. I've been a part of this for more than 40 years, and I didn't jump into the Ford Cobra market or into Camaros, Chevelles, Mercedes… I've just stayed with what I know." That strategy of sticking with just one marque has served Michaelis well in a market that has, like any other, experienced many ups and downs. 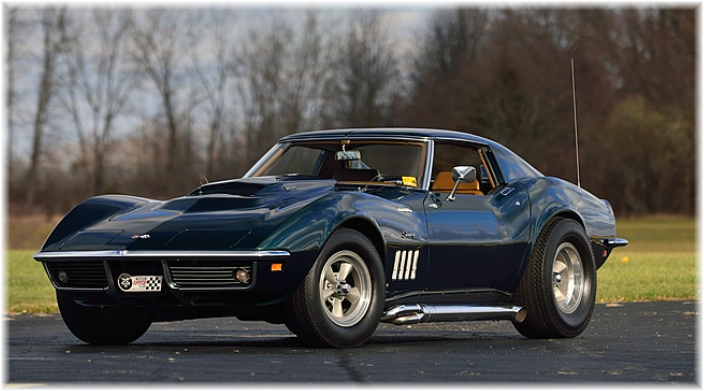 "Before 2008 when the recession made its way into the collector-car market, I was selling 125 to 150 Corvettes per year in just the three surrounding states I do most of my business with," Michaelis recalls. "In 2009, my sales in those three states totaled out to just six. It was a pretty rough ride." It was in these subsequent years that the auction houses began really building a reputation on a nationally recognized level. For people like Michaelis, the auctions had always been a place to buy as many Corvettes as possible to turn around and sell to the end-consumer. The auctions offered wholesale pricing that was perfect for dealers to obtain their inventory. But as they gained steam and caught on with the general public, brought to the forefront as "the place to be" for collectors and enthusiasts, the tables began to turn. "The auction companies built a brand," says Michaelis. "The auctions became lifestyle events that offered excitement and fun. Mecum gave people a reason to attend beyond just buying a car. Everything is in motion at an auction. At car shows and in dealerships, the cars just sit. At auctions, the cars are started, they're driven, they ride across the auction block and there is so much energy in the air. It draws all enthusiasts, from the young to the old. The thousands of registered bidders, the amount of spectators and television viewership all continue to grow and it's just really become about being a part of the excitement and the action sometimes even more so than just buying the cars." Michaelis recognized this shift, a phenomenon Mecum's President and Founder Dana Mecum describes as "an evolution in the industry." What Mecum also points out is that Michaelis reacted to this shift exactly as any market-savvy dealer would. Michaelis began to slow in his auction purchases, and instead started bringing his best inventory to sell at the auctions. "Some of the auctions I've gone to in the past I'd spend $2.5-3 million at an auction," Michaelis explains. "Now I'm getting more and more involved with buying cars from the estates of my clientele. They often approach me wanting to sell me their Corvettes, and I tell them they could get more by taking it to auction; I give them my best price and the estimate of what it could bring at an auction. But some of these people are older and just want a quick and easy private transaction, so they prefer to just sell to me." Michaelis' longtime involvement with the industry and Mecum positions him advantageously as he makes the transition from bidder to consignor. 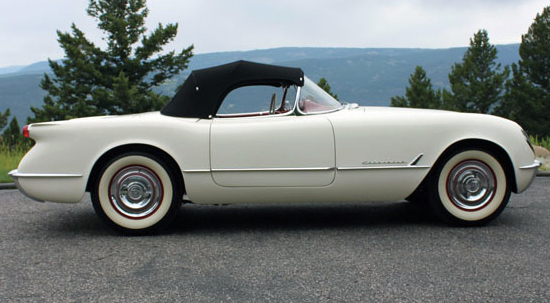 "People like to see Corvettes that have been judged by Bloomington Gold or NCRS to feel confident that they meet a certain level of quality," says Dana Mecum. "And while those are definitely great indicators to go by, bidders should keep in mind that Terry has owned more Corvettes than any judge has ever judged in the 40 years he has been in the business. The greatest thing he offers the buyers of his Corvettes is the comfort of knowing that Terry knows what makes a great Corvette. 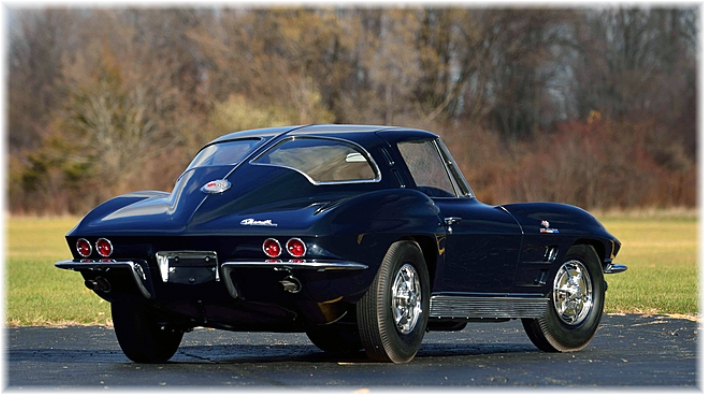 He is considered by Mecum, and many others, to be one of the top Corvette-minds in the world." Mecum explains how Michaelis earned himself bidder badge no. 1. "When we switched over to a computer-based system a long time ago, he was our top buyer. There would be auctions with maybe 200 Corvettes, and of those Michaelis would maybe buy 25 or 30! Sometimes there might be some jealousy or resentment about his purchasing habits, but realistically up to 30 or 35!, he was making everyone's cars worth more! He's definitely had a positive and lasting effect on the market throughout the years." Along with Michaelis' shift from being a bidder to a consignor, he is also choosing to dial back on his inventory. Whereas a few years back he would typically keep his inventory as high as 200-plus Corvettes, today he keeps it down to about 65 to 75. "It's more manageable," Michaelis explains. "And it was also a choice I made to ‘park' my money in Corvettes that are more valuable—ones that were built in limited quantities instead of those they made so many of. Nowadays I like to buy L88s and Z06s where they only made a couple of hundred, or the one-of-ones. I've got some really nice ‘53s. 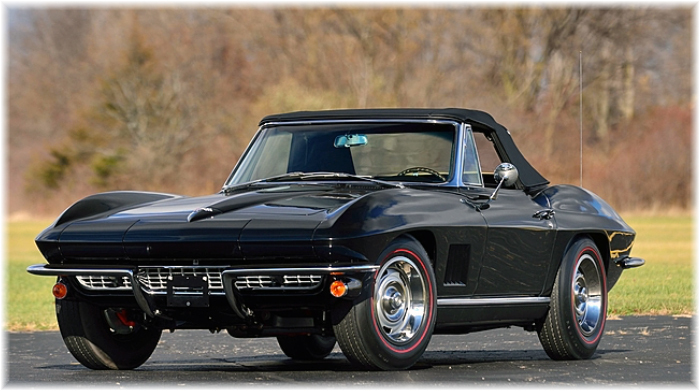 One of the cars I have, a '62, is the last solid-axle ever produced, the last first-generation Corvette ever built. Now that's rare. "What I've also noticed happening is that when these real-special Corvettes with no excuses bring $350,000-plus at an auction, and then you have something that is not as special—maybe it's the same year but it only brings $70-80,000—people just can't figure it out. But that's why knowledge is power even in the collector-car community. It could be a lot of reasons: maybe it's not as desirable or rare of a color combination, or maybe there are some questions about its legitimacy. It pays to be informed." 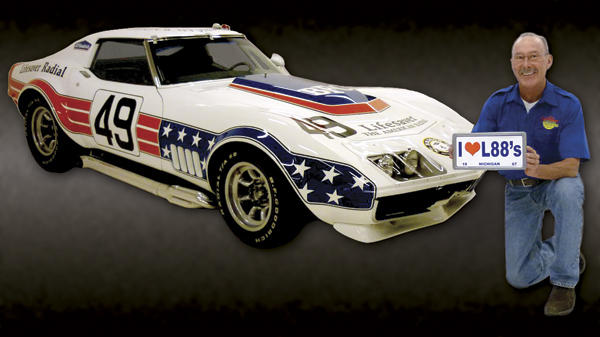 As a founding member of the National Corvette Museum, a Great Hall inductee, NCRS member no. 136, a nationally recognized Corvette authority, and a man that might just qualify as the top-selling Corvette dealer in history, there is no doubt that Michaelis is as informed as they come. 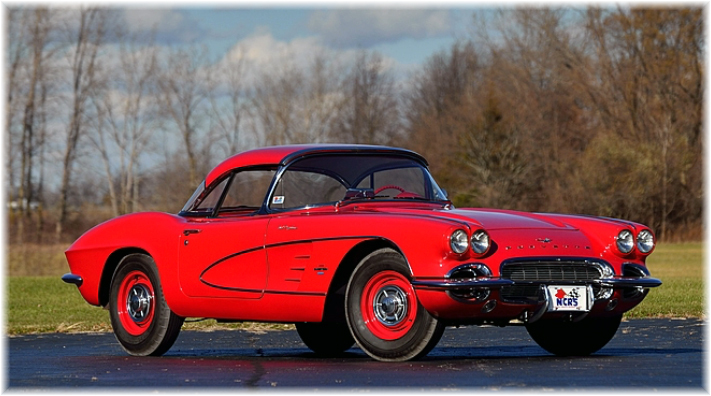 Savvy bidders will keep an eye out for Michaelis' Corvettes at upcoming Mecum auctions. 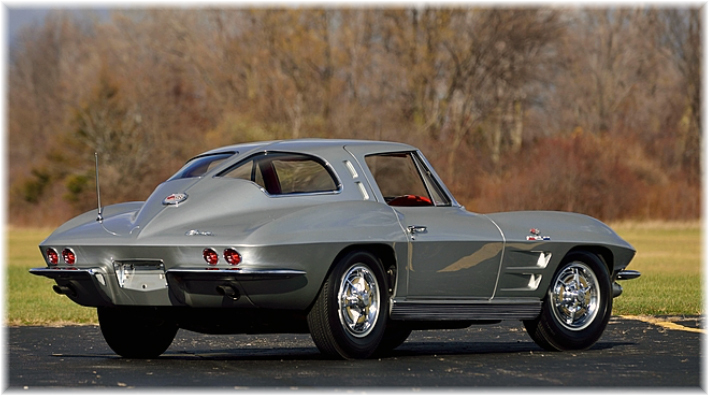 These are cars that are coming directly from one of the most influential Corvette minds of this lifetime; it's not an opportunity any serious Corvette collector will want to pass up. All of these Corvettes are guaranteed to have their factory VIN and body/trim plates. Terry Michaelis will be on site to answer any questions and show perspective buyers/bidders the documentation. Why is ProTeam/Terry Michaelis Selling at Auction? - Over the last 40 plus years, Terry Michaelis has used the auctions to purchase inventory to stock his large showrooms in Ohio, spending sometimes as much as 2.5 to 3 million dollars at a single auction. - Since the great recession of 2008 Terry has watched the high profile televised auctions, like Mecum, grow into power houses with thousands of “ready to spend” registered bidders that like the auction excitement and instant gratification of making a purchase and thus out bidding others, in essence they are a winner! - At the same time Terry has reduced the ProTeam inventory from 230 Corvettes to 70 – 80 highly collectible Corvettes that were produced in very limited quantities, ie: single, double, and triple digit produced Corvettes like Z06’s, L88’s, LS6’s, ZR1’s, ZR2’s, fuelies, tankers, big brake cars, and so on… of which are generally not available at even the high profile venues, which generally sell driver quality “Joe Public” type Corvettes that are not highly collectible but do serve a purpose for the entry level Corvette buyer. - Recognizing this, Terry understands that the highly collectible Corvettes are much more expensive and will only attract bids from the more seasoned, experienced, and affluent collectors who have a passion for purchasing truly rare and desirable Corvettes. For more information on the Mecum/Michaelis Experience click here. 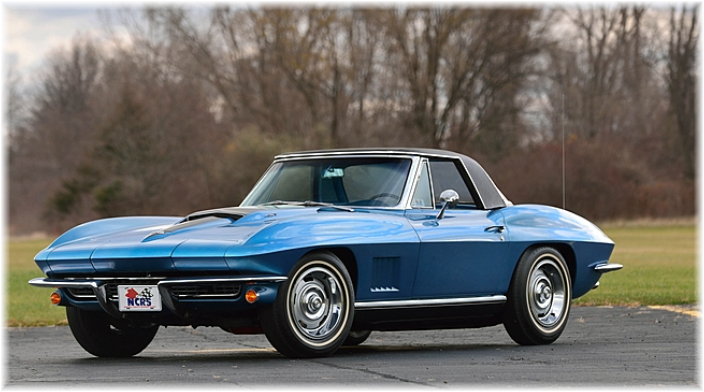 - Look for more ProTeam Corvettes at auction as the 2016 auction calendar develops.